The stars of The Big Bang Theory are getting a lot of buck for their bang, apparently. It’s common knowledge that the actors involved in CBS’ science sitcom get paid a pretty penny for their unique blend of academia and charming comedic styling. 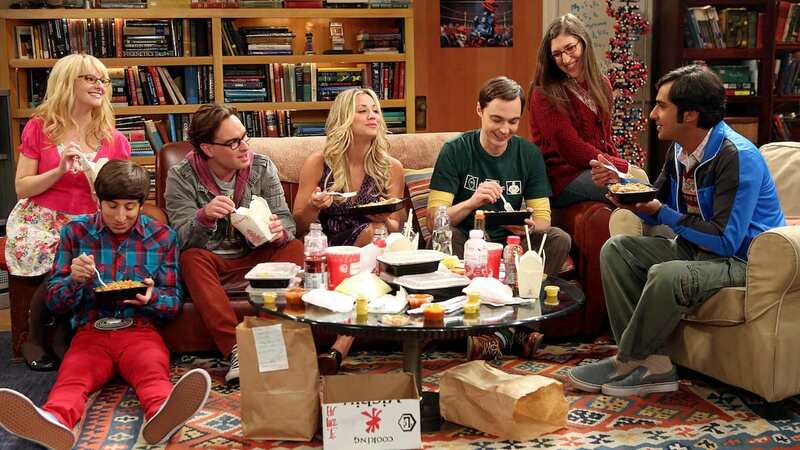 But I don’t think anyone imagined Leonard, Sheldon and Penny would have earned the guys behind them nearly $150,000,000 (£120,000,000) by the time season twelve airs. As CBS announced they would be extending The Big Bang Theory for another two years, Vulture celebrated by digging out their calculators and estimating exactly how much Kayley Cuoco, Jim Parsons and John Galecki earned. The long-standing cast members have so far filmed 230 episodes. Although their wage started small in Hollywood terms, at $60,000 (£48,000) per episode, the show’s popularity has earned the trio even more substantial salaries. They brokered a deal setting their fee from season eight onward at a cool $1 million (£800,000) per episode. Thus, taking into account the recent paycut they took to even out their wages with co-stars Mayim Bialik (Amy) and Melissa Rauch (Bernadette), Vulture estimates Cuoco, Parsons and Galecki have raked in $139.8 million (£111 million). Meanwhile, the popular guests who became lovable regulars – Mayim Bialik’s Amy Farrah-Fowler and Melissa Rauch’s Bernadette – have appeared in 153 and 159 episodes respectively. Vulture‘s calculations estimate Bialik and Rausch have earned $27.7 million (£22.1 million) and $31.3 million (£25 million) for their portrayals, landing $450,000 (£359,000) per episode. The Big Bang Theory, season ten, will continue on Thursdays at 8pm ET on CBS in America and on E4 in the UK at 8pm every Thursday.